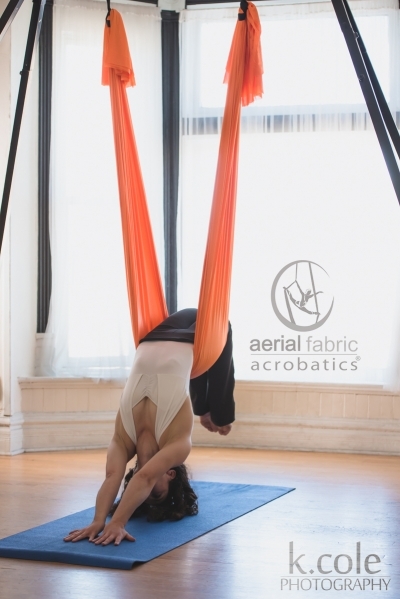 Double point aerial yoga hammock. Made from certified quality material/hardware. Comes fully assembled ready to install on 2 ceiling points. Great for relaxation, stretching, or back pain. easy to clean, durable, comfortable, beautiful. 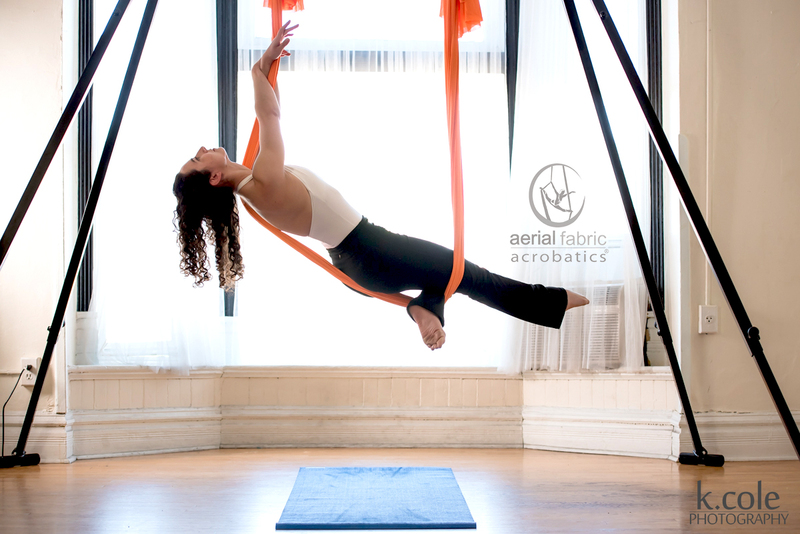 This Aerial Yoga Hammock is used for Yoga Slings, Yoga Fitness, stretching, relaxation, stress reduction, and back pain. It is long lasting, comfortable, and can be used by the whole family. The fabric is 100% Nylon Tricot fabric. It is tightly woven, durable, soft, and easy to clean. 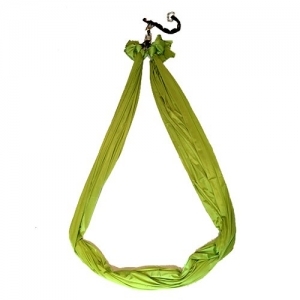 It stretches on the width not length so it will form to your body for comfort while maintaining the strength necessary for sitting in the hammock. Choose a 4 yard hammock for an 8 foot ceiling, 5 yards for a 10 foot ceiling, 6 yards for a 12 foot ceiling. Watch our Assembly Video to learn how to convert this hammock into a single point by adding a swivel. 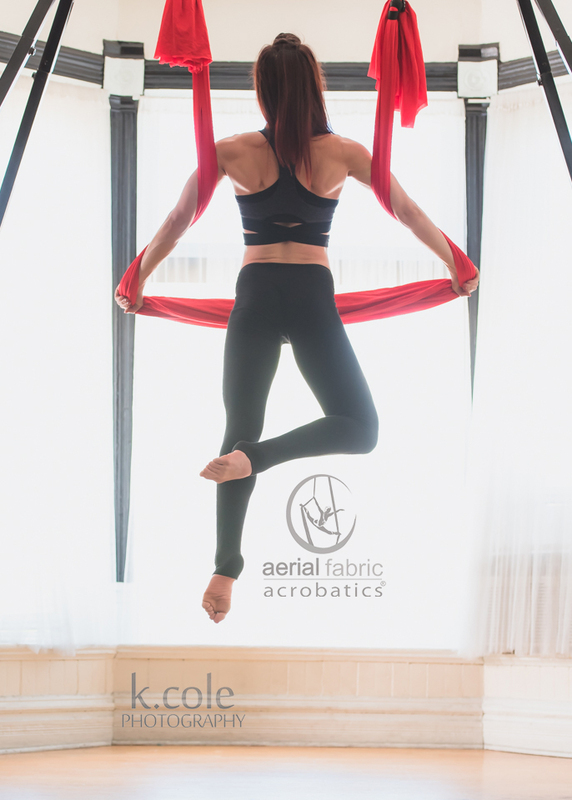 Basic Yoga Hammock made with 100% nylon 6 Tricot fabric. It is 40 denier (thread thickness) 108 inches or 9 feet wide. The fabric is rated for 2,000 pound dynamic load. 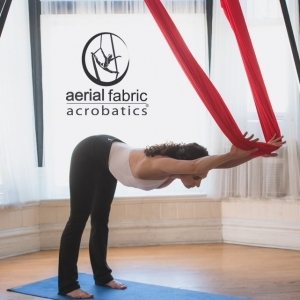 Certification of fabric strength available upon request. 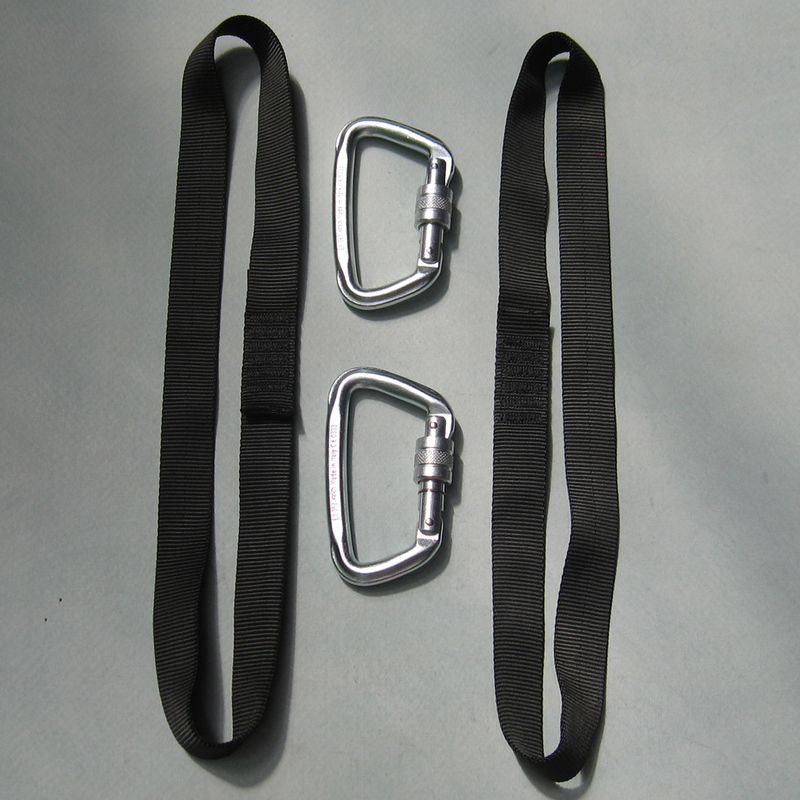 Assembled with 2 sewn black runners and 2 steel screw-gate carabiners rated for the climbing industry. The runners are 1 inch and rated at 28.9kN. 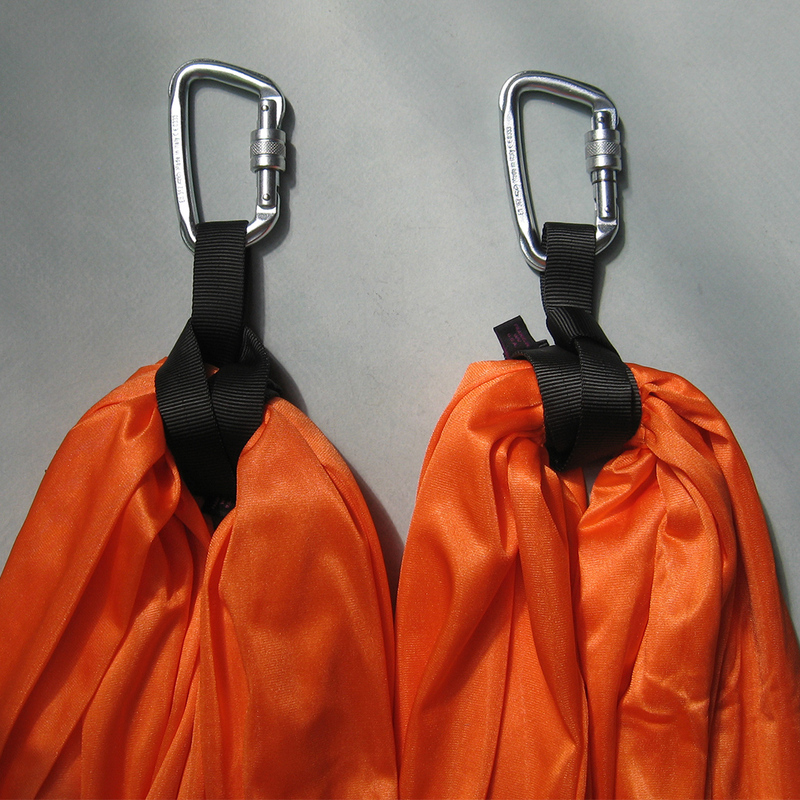 The carabiners are rated at 50kN. 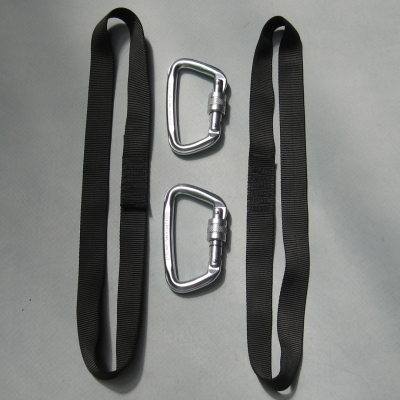 The Basic Hammock can be washed by removing the black sewn runners and carabiners. When you are ready to re-assemble, refer to our video How to Assemble Your Aerial Yoga Hammock. Wash fabric in washing machine on gentle, use liquid soap like Woolite, do a rinse of cold water to clean soap from fabric. Dry in dryer at medium heat. Check Runners and multiple links for any fraying. Retire if there is fraying of any type.